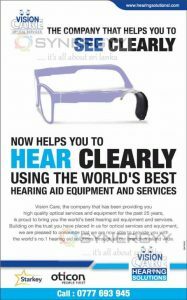 Vision Care, the company that has been providing you high quality optical services and equipment for the past 25 years, is proud to bring you the world’s best hearing aid equipment and services. Building on the trust you have placed in us for optical services and equipment, we are pleased to announce that we are now able to provide you with the world’s no.1 hearing aid solutions through all our branches island wide. 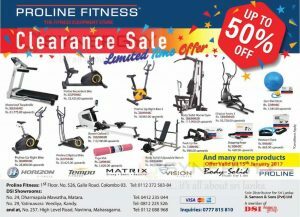 S Samson & Sons announces a Clearance Sale for a limited time; enjoy discounts upto 50% by buying your Proline Fitness equipments today. 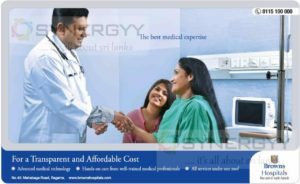 Browns Hospital is the latest venture of Brown & Company PLC, the first one established in a chain of secondary care general hospitals and diagnostic centres to deliver high quality care through comprehensive, integrated clinical practice and personalized care, to every patient, who walks through our doors. Armed with the strong family brand name of ‘Browns’, this hospital attempts to reach rural and urban citizens in Sri Lanka to deliver innovative and patient-centric solutions. The fully fledged multi-specialty general hospital is equipped with the latest medical diagnostic technology, including modern CT and MRI scanning, and advanced medical and surgical therapeutic technology. The medical team comprises of highly qualified and recognized visiting consultants in all specialties and in-house doctors as well as top-notch nursing care. Experienced and qualified nurses hailing from both the government and private sector will make up the nursing cadre at Browns Hospital. It’s a another Bank comes with American Express Credit Card in Sri Lanka now, after the great deals of Nations Trust Bank; now Sampath Bank also announce, that bank has made agreement with American Express to offer Sampath Bank American Express Credit Cards. The Sampath Bank American Express Everyday Credit Card is the first ever Credit Card in Sri Lanka to offer an all year round Cash Back benefit. Which means the more you use your Card when you shop to your heart’s content, the more value you get back! 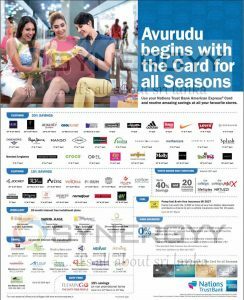 Furthermore, as a Card member, you also benefit from our amazing deals with a large array of partners, letting you save while you spend! 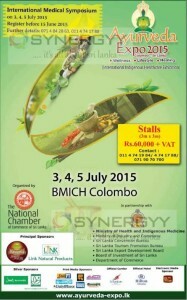 The National Chamber of Commerce of Sri Lanka organizes an Ayurveda Expo 2015 at BMICH from 3rd to 5th July 2015. International Medical Symposium invites applications for participate and those who wish interested could obtain stall of 3m x 3m at an affordable cost of Rs. 60,000/- + VAT. The Ayurveda Expo 2015 organized with purpose to promote more Ayurveda Medicine to urban crowed and to educate none side-effect medical solutions for any health issue face by any individual. 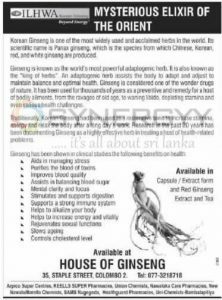 don’t forget to visit Ayurveda Expo 2015 at BMICH and gain knowledge about Sri Lankan Ayurveda Medicine and give a try of doctors suggestions and free medical advise. 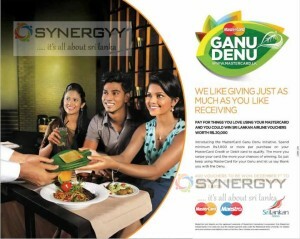 Introducing the MasterCard Ganu Donu Initiative. 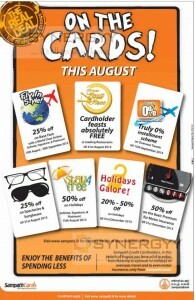 Spend minimum Rs.1.000 or more per purchase on your MasterCard Credit or Debit card to qualify. The more you swipe your card, the more your chances of winning. 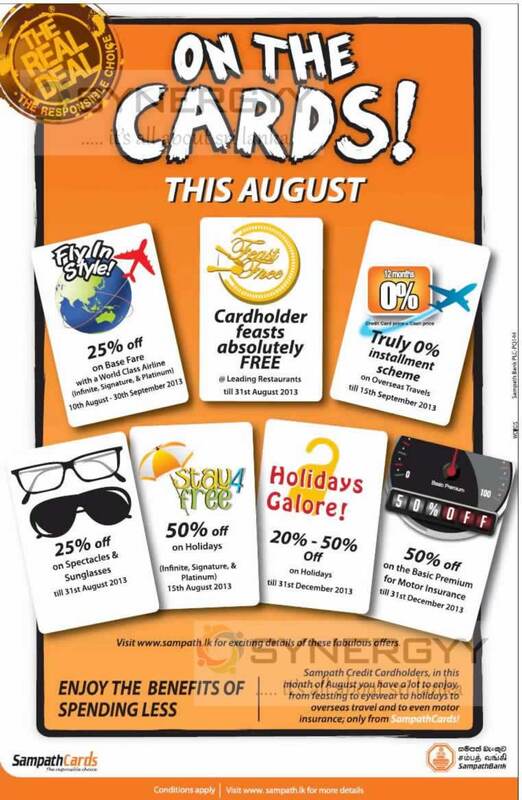 So just keep using MasterCard for your Ganu and let us say thank you with the Denu. 400 Vouchers to be Won. 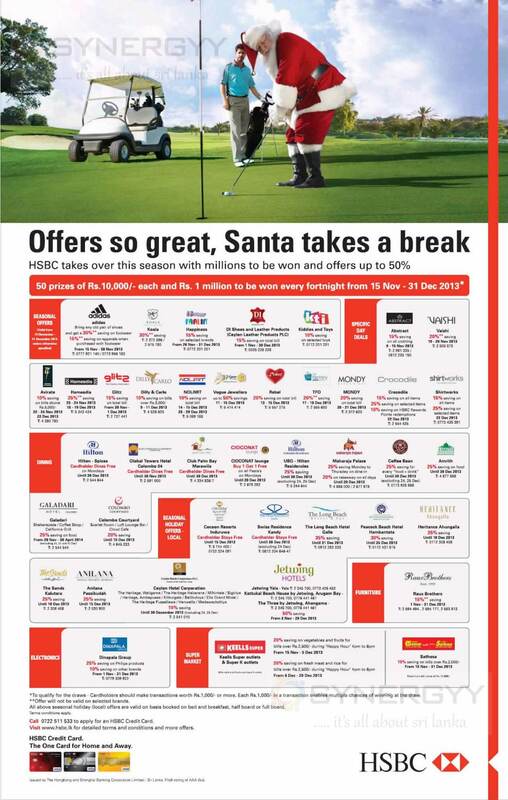 Offer valid from December 1st to January 31st, 2015. 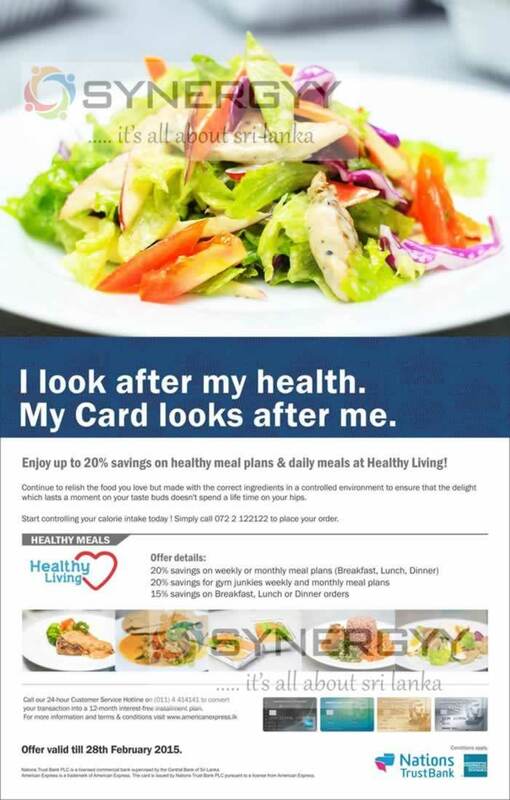 American Express Credit card offers up to 20% savings on healthy meal plans & daily meals at Healthy Living! Continue to relish the food you love but made with the correct ingredients in a controlled environment to ensure that the delight which lasts a moment on your taste buds doesn’t spend a life time on your hips. Start controlling your calorie intake today! Simply call 072 2 122122 to place your order. Call our 24-hour Customer Service Hotline on 011 4 414141 to convert your transaction into a 12 month interest-free installment plan. The big advantage of this Philips Air fryer is cooks healthy food without oil; the Philips Air fryer got a certification from the independent Medical Practitioners Association of Sri Lanka saying its health food making process. 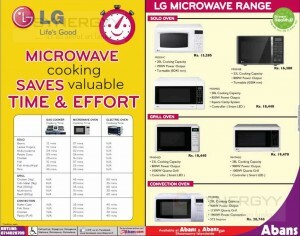 Philips Air fryer available for any of your cooking needs of Fry, Grill, Toast, Bake and Make curries. 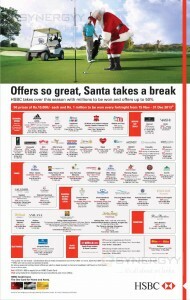 Hurry up this promotion is valid for short period! 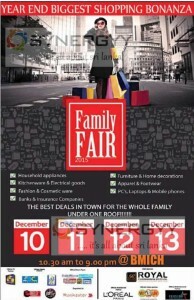 Are you a successful Hospitality service providers, you wants your guests to visit again your hotel. give them a linen like no other. 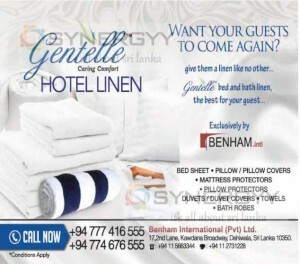 Benham Internation imports and distributes high quality Gentelle caring comfort Bed & Bath Linen in Sri Lanka. 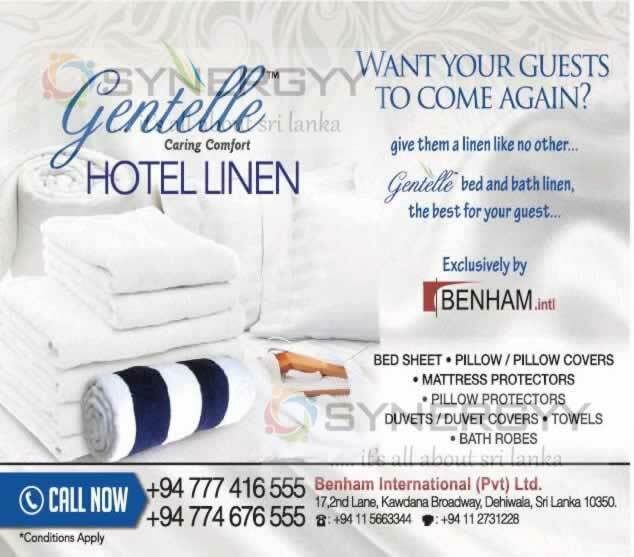 Buy Linen of Bed Sheet, Pillow / Pillow Covers, Mattress Protectors, Pillow Protectors Duvets / Duvet Covers, Towels & Bath Robes. 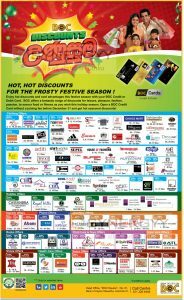 This is your Christmas planner for a healthy season with Seylan Bank Credit or Debit cards till 31st December 2013. Don’t think twice about a health checkups this season. Seylan Easy Plan allows yon to pay back your medical bills in 12 easy instalments. 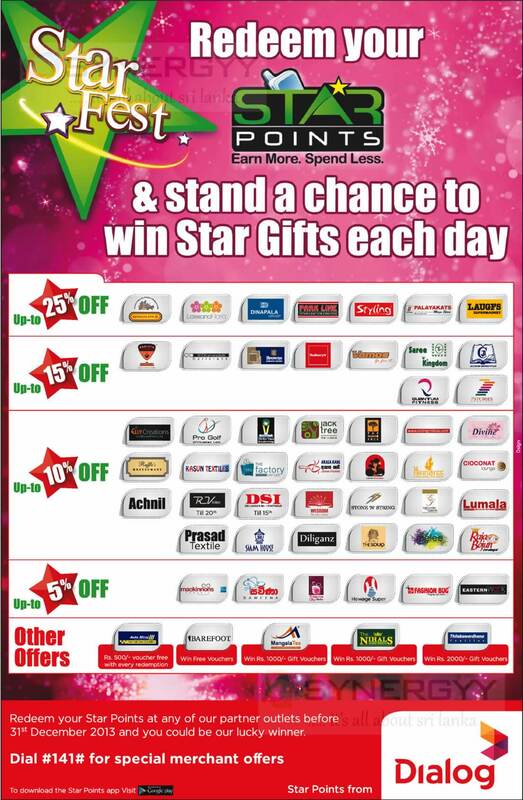 The Dialog announces an great promotions for the Star points redemption for this festive seasons at your favourite stores. 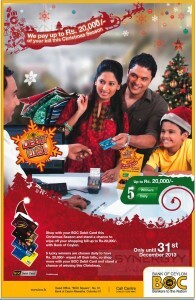 Shop with your BOC Debit Card this Christmas Season and stand a chance to wipe off your shopping bill up to Rs. 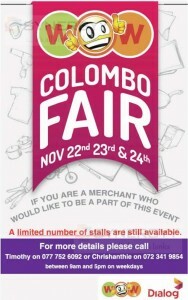 20,000/-with Bank of Ceylon. 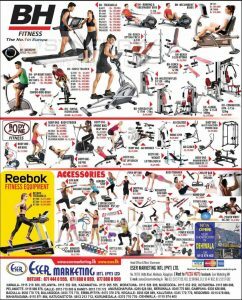 5 lucky winners are chosen daily to have Rs. 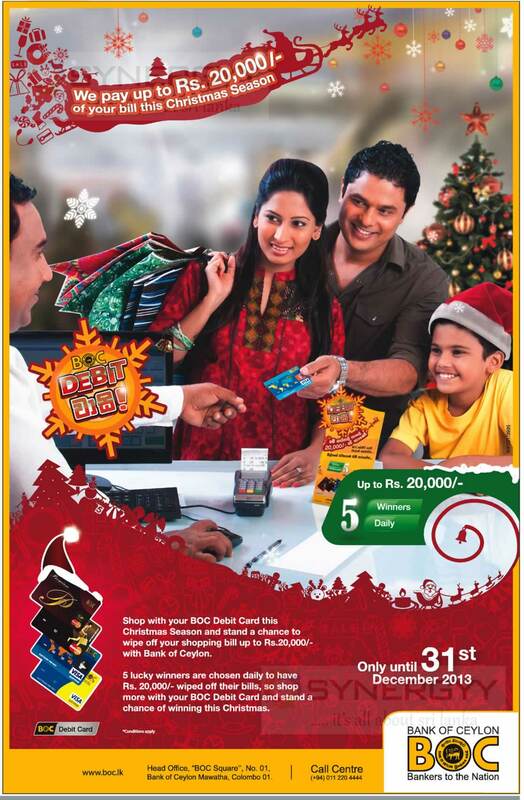 20,000/- wiped off their bills, so shop more with your BOC Debit Card and stand a chance of winning this Christmas. To qualify for the draws – Cardholders should make transactions worth Rs.1,000/- or more. Each Rs. 1,000/- in a transaction enables multiple chances of winning at the draw. 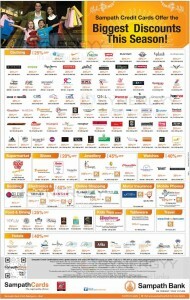 **Offer will not be valid on selected brands. All above seasonal holiday (local) offers are valid on basis booked on bed and breakfast, half board or full board. 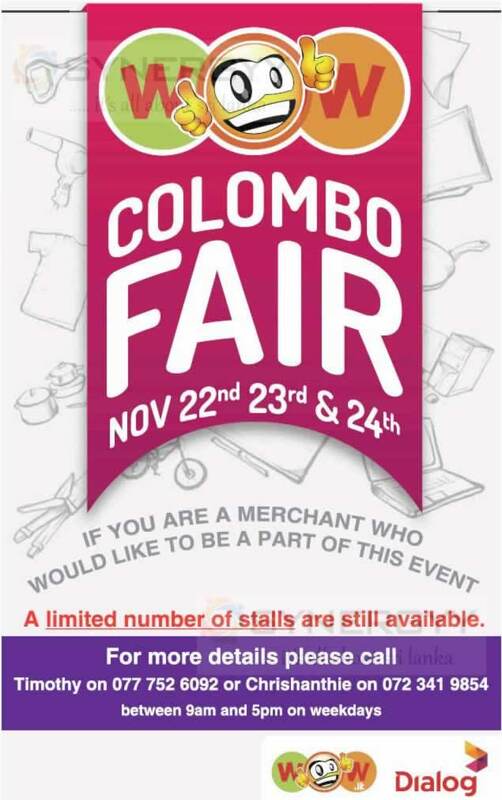 Wow an E-Commerce platform in Srilanka announces special Wow Colombo Fair on 22nd November to 24th November 2013 in Colombo. For more information see below image or visit nearest abans showrooms. 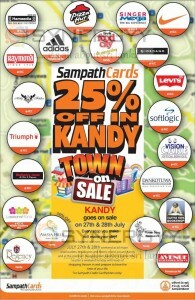 The Biggest sale ever is happening on July 27th & 28th Weekend at all major retail outlets, restaurants and Hotels in and around Kandy and at the Premium shopping mall Kandy City Centre (KCC). 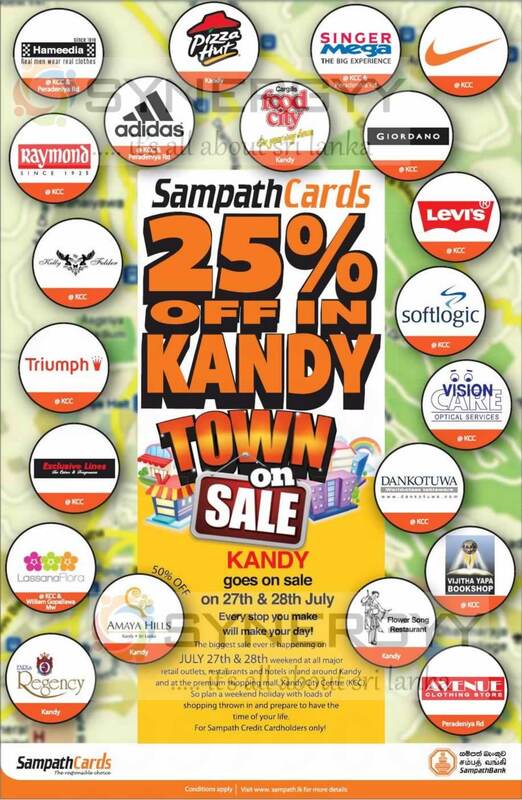 So Plan a weekend holiday with loads of shopping thrown in add prepare to have the time of your life for Sampath Bank Credit Card only and enjoy 25% Off. If you are over 30 years of age, heath screening on a regular basis is not only intelligent, it will save you much more than money. The Ceylinco Healthcare centre declares the month of June as Health Screening Month. 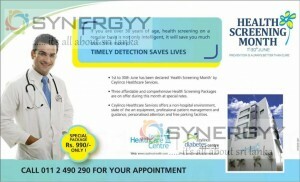 Three affordable and comprehensive health screening packages are on offer during this month at special rates.